All You Can Eat Pasta Mondays! You are here: Home / All You Can Eat Pasta Mondays! 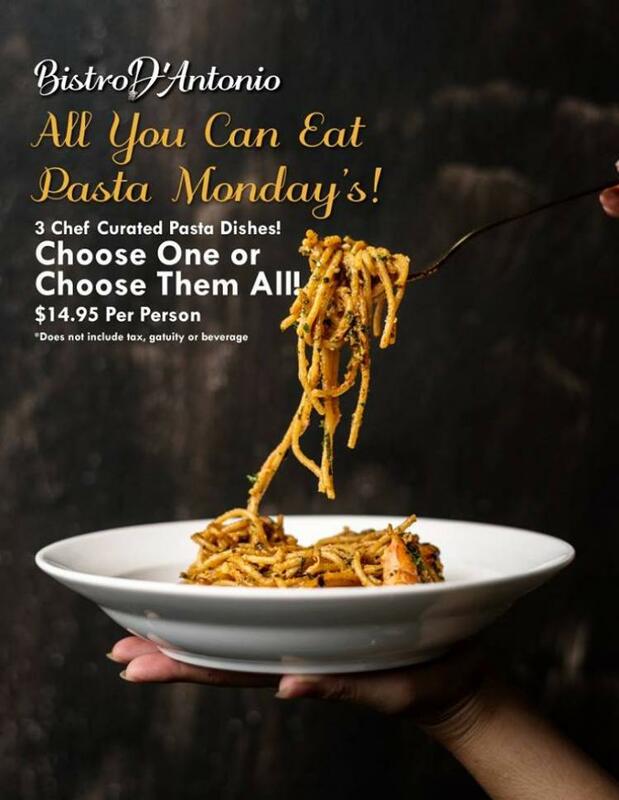 More About All You Can Eat Pasta Mondays! Mondays just got better!!! ALL YOU CAN EAT PASTA every MONDAY!!!!! 🍝 3 Chef curated pastas! Choose one or choose all THREE!! *Gluten-free and vegetarian options available! $14.95 per person! Tell all your friends!! We can't wait for you to join us on Pasta Mondays!! !